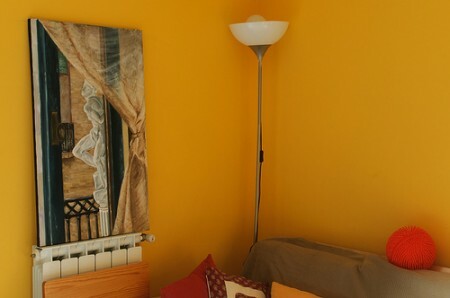 "Amateur painting" image by Fran Simó. Some rights reserved via Creative Commons license. It’s been a week since Alec Soth announced the “From Here to There” Flickr project, devised in conjunction with his exhibition that opens here on Saturday. Already more than 450 photographers have joined the group, uploading nearly 500 images – and the deadline isn’t until October 1. The “Treasure Hunt” theme for this first “From Here to There” assignment (yes, another is coming up) takes off on Soth’s own artistic process, and has participants photographing a list of specific things, including pilots, amateur paintings, sleeping children, sheep, and suitcases. There’s a lively conversation developing around this project at Flickr; we’ll be posting more select images and commentary in the coming weeks; or you can go dive into the whole thing yourself.